* Mariell's 7 1/2" Antique crystal prom or wedding bracelet is cleverly designed to resemble heirloom jewelry with its shaded tones of vintage crystals. * This charming bracelet is available at a fabulous wholesale price making it a great bridesmaids' gift. * Style and Incredible Low Price come together beautifully in Mariell's wholesale Antique Crystal Wedding, Bridesmaids, Homecoming or Prom Bracelet. * Our 1/2" wide inlaid crystal bracelet tapers to just under 1/4" in the back with an antique rhodium tone fold over clasp. 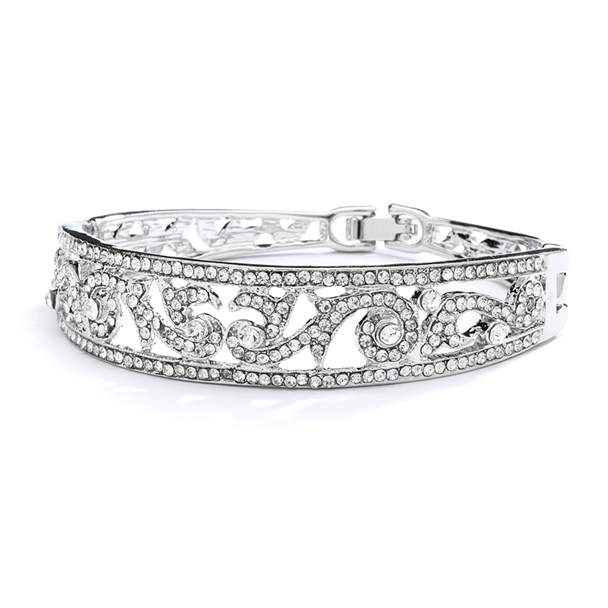 * At this price point, this is a must-have crystal bracelet for any wedding stockist or retailer.